On September 26, 2013 Jersey City became one of the first cities in New Jersey to mandate paid sick leave for employees. The Jersey City Earned Sick Leave Law varies quite a bit from the later ordinances adopted by the other 12 municipalities within New Jersey, most recently New Brunswick, Plainfield, and Morristown. The ordinance originally provided paid sick leave to employees of larger businesses, those who employ 10 or more employees. Smaller companies and employers must provide unpaid sick leave to their employees. The ordinance provides up to 40 hours of sick leave each year. It is important to note that although the ordinance applied to Jersey City businesses, it also applied to any employee who works inside of city limits for at least 80 hours a year. 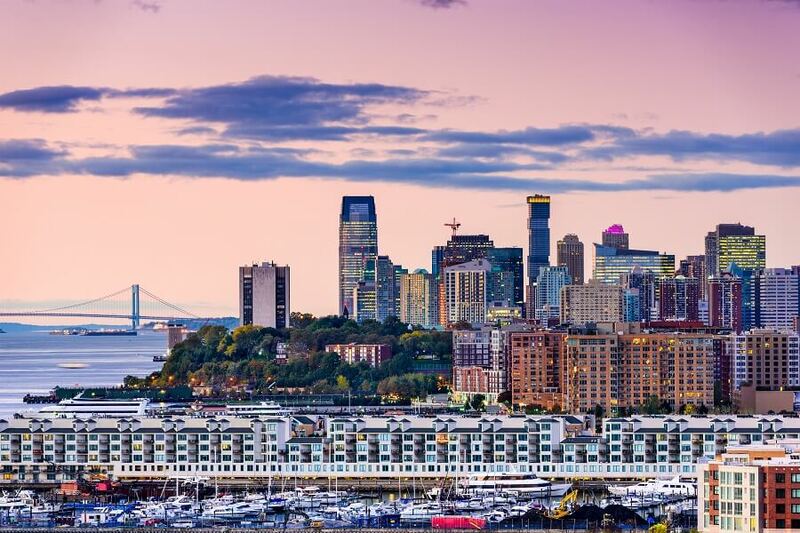 This means that out of state employers, as well as foreign employers, must be aware of these laws if any employee lands in Jersey City for 80 hours or more each year. This would include sales reps, regional employees, and drivers who pass through the city in route. 2015 update: In 2015, Jersey City updated their sick leave laws to be more generous and more similar with the other sick leave laws that have been passed since Jersey City’s Ordinance. This article has been updated to reflect the changes to the laws. Employees are eligible to earn paid sick leave of 1 hour for every 30 hours worked. Large businesses, who have more than 9 employees, are required to provide up to 40 hours of paid sick leave in a year. Originally, small employers had to provide up to 40 hours of sick leave, but as unpaid hours. In 2015, the ordinance was updated to require up to 24 hours of paid leave for employees of small employers. Once employees exhaust paid leave hours, then the employees still have access to another 16 hours of unpaid leave. *Industry exception, regardless of business size Any Child-care, home health care, or food service worker can earn 1 hour for every 30 hours worked up to 40 hours a year. Any Child-care, home health care, or food service worker can earn 1 hour for every 30 hours worked up to 40 hours a year. All employees count toward the employer size including full, part time and temporary employees. To calculate the size of the business, when the employees fluctuate, business can calculate the average number of employees employed during the previous year. The ordinance doesn’t define full time equivalent (FTE) as a means of calculating employee, but rather instructs businesses to average the number of employees on payroll for the year. This means that all employees count equally as an employee count. There is no distinction between full time and part time employees. In other words, 11 employees who work 15 hours a week each would be counted as 11 employees and be eligible for paid sick leave. Jersey City allows businesses to define the calendar year. It can be any consecutive 12 months that the business defines. Managers should inform employees if the accrual year is different than the standard calendar year of January through December. Exempt employees, those who are exempt from overtime according to the definitions of the Fair Labor Standards Act, are assumed to work a 40 hour week. Unless an exempt employee regularly works less hours, they will accrue sick leave based on the 40 hour week. If an exempt employee’s regularly works less than 40 hours a week, in which case that employee will accrue sick leave on their normally worked hours. Employees can roll up to 40 hours of accrued sick leave to the following year. However, even if 40 hours are rolled over, the employee is still limited to using more than 40 hours of sick leave each year. The ability to roll sick leave provides a way for sick leave to be taken at the beginning of the year before more time has accrued. Companies can also choose to avoid rolling sick leave if they payout unused, accrued sick leave at the end of the year. Jersey City’s Sick Leave Ordinance covers all businesses operating within the city limits. Further, the ordinance also covers any employee who works inside city limits for at least 80 hours a year. This means that companies who operate outside the city, state and even the USA are liable under the new ordinance. It is vital that employers who have employees who operate on an occasional-basis in the township maintain accurate records of time spent inside the city. All privately employed employees are covered. This includes temporary and seasonal employees, as well as full time and part time employees. Jersey City excludes all government employees, including Federal, State and Local governments. Additionally, education employees are exempt and are defined as an employee of any school district or the board of education. All Rutgers employees are specifically exempt. The 2015 Amendment to the Sick Leave Ordinance created an exception for construction workers who are covered under a collective bargaining agreement. This matches the later sick leave laws passed in New Jersey, which also have exceptions for Construction Union Employees. Jersey City Use of Sick Time purposes are similar to the uses enacted later in the other New Jersey townships. This makes it easier for employers, with employees in multiple locations, to modify existing sick leave policies. Jersey City employees can take sick time for both family members and for themselves for a variety of reasons. These reasons include care, diagnosis, treatment, and preventative care for any mental or physical illness, health condition, or injury. In addition, if the employee’s place of business is closed due by order of a public health official due to a public health emergency, sick leave can be used. If a child’s or family member’s school or place of care is closed by a public health official, then the employee can also take sick leave. In the event that a public health employee determines that the presence of the employee, child, or family member would jeopardize the health of others because of exposure to a communicable disease, then the employee can take time off to care for them. This is applicable, even if the family member or employee has not actually contracted the disease. There are no specific provisions for victims of domestic violence, sexual assault or stalking to seek legal redress or relocate for safety. Presumably any physical or mental injuries could be covered under the above reasons, even if not specifically stated. Mental or physical illness: to care for, diagnose, obtain treatment, or preventative care. If the employee or family member has had exposure to a communicable disease, even if the employee or family member hasn’t contracted the disease. The Sick Leave Ordinance recognizes all biological, foster, adopted, step, legal ward and in loco parentis relationships. It also recognizes in-law relationships, except for in the case of siblings. In-law relationships include both spouse’s parents and domestic partner’s or civil union partner’s parents. Children, parents spouses, grandparents grandchild and sibling relationships are defined as acceptable family relationships. Children of domestic partners or civil unions are also included in the ordinance. Parental relationships also include legal guardians of the employee or the employee’s domestic partner, parent-in-law. Spouses, domestic partners, and civil union partners are recognized. Grandparents, including spouses, domestic partners, and civil union partners of grandparents are also acceptable relations. Lastly, grandchildren and siblings are allowed under the ordinance. Parent: biological, adopted, step, foster, parent or foster parent of a domestic partner or civil union and parent in law. Grandparents: including spouses and partners of grandparents. Employees start accruing sick leave on the first date of employment, but have to pass through a 90 day grace period before using sick leave. Sick leave can be taken in hourly increments or in the smallest time increment that other absences are accounted for on the payroll system. When an employee leaves an employer, their unused sick leave does not have to be paid out to them. However, they retain a sick leave back for 6 months after the termination of employment. If the employee returns to work for the same employer again, the sick leave must be reinstated to the employee without a new grace period. This is the case, whether employment was voluntary or involuntarily. Upon the termination of employment, businesses are not required to payout sick leave. Employers are allowed to lend sick leave hours to employees before accrual of hours and are under no liability for choosing to do so. Employers who deny a request to loan sick leave are also under no liability. Sick leave hours transfer to a new owner or successor employer. Accrued hours also transfer with employees who transfer within the same company. Employers who have existing paid time off policies that meet or exceed the Jersey City ordinance don’t have to provide additional sick leave time. The existing policies must allow for sick leave to be used for all the reasons allowed in the law at for at least 40 hours of sick leave to be accrued at the same rate that the ordinance provides. HR managers and Payroll Professionals with existing leave policies should examine their guidelines to make sure that all allowable reasons for leave in the sick leave law are also allowed in the company’s policy. Employers should also make sure that their policies include the notification required by law. Employees are allowed to provide oral request of sick leave. Businesses should be careful with this as an oral request is more difficult to document and will be harder to prove actual requests. As noted below, employers without sufficient documentation will be considered in violation and so businesses should be careful to allow for oral requests, but have a process in place whereby a manager documents the time and occurrence of the oral request. Employees must notify employers of sick leave usage as soon as it is practicable. After an employee has used 3 or more consecutive days of sick leave, then the manager can require documentation by a health care provider that sick leave was necessary. The statement cannot disclose the nature of the sick leave. Jersey City protects employees from any kind of retaliation under the law. Employees can exercise their rights of paid sick leave and cannot be prohibited from attempting to exercise their rights. They can file complaints, work with the Agency in investigations, participate in any judicial action relating to the act and inform others of their rights under the act. Employees are protected from any sort of threat, discipline, discharge, suspension, demotion, reduction or hours, or any other adverse action. This includes protection for employees who communicate with coworkers about a violation of the law. Employers must provide a notification of employees rights under the sick leave law when new employees are hired. Additionally employers must post notification in a conspicuous place where the employee’s work. The notices and posters must be in English and any other first languages spoken by more 10% or more of the employees. The notice has to include the right to sick leave, accrual rate, amount of sick time available for accrual, and the terms of its use. Additionally notification must include the rights of the employee against retaliation and the right to file a complaint. Businesses are fined $100 for every employee who isn’t given notice of their rights under the law and $500 for every business location without notice posted. Additional violations are fined at $2,000 per violation. The original ordinance required a fine of $1,250. Each day is considered to be a new infraction. Additionally, employers are subject to restitution to the employee. The Department of Health and Human Services is in charge of overseeing the ordinance. In addition to filing complaints with the Health and Human Services Agency, employees can also file a civil lawsuit. Jersey City requires that employers maintain records of hours worked by employees, as well as sick leave accrual and usage. The Ordinance also presumes a violation of paid sick leave laws if employers do not maintain good records. This makes it crucial for business owners and managers to maintain consistent and detailed records. Manual timekeeping is more easily altered and lost than automated time and attendance records, including employee information, hours worked, sick leave accrual and usage. Businesses should also have written documentation of sick leave requests as well as a written employee handbook. Jersey City’s FAQ page defines the time period for record retention as three years. It is more important than ever that companies have an electronic timekeeping system that provides accurate and automatic records. This can help the company to stay compliant with employment laws and to avoid fines and penalties. Businesses who have employees in more than just Jersey City may have to comply with multiple conflicting City ordinances defining Sick leave accrual and usage laws. Additionally, these businesses have to also comply with Federal Overtime Laws, the Family Leave Medical Act and any other national or local laws that are enacted. SwipeClock provides a comprehensive array of workforce management and time tracking tools that can help businesses to more easily stay in compliance with local and national laws. Records are effortlessly kept for years and accrual is automatically tracked and reported to employees according to the state and city laws. Additionally, with geo-timekeeping clocks, businesses can effortlessly track time worked in specific cities to ensure compliance.